Home / Disease / Health / Chicken Pox Treatment: Here's What You Should Do. Chicken Pox Treatment: Here's What You Should Do. Drink plenty of water and avoid foods that can make your mouth hurt, especially salty foods. Prevention of dehydration is important for people with chicken pox, especially children. Ice can also be given to relieve pain or itching due to chicken pox in the mouth. Do not scratch the chicken pox because it can increase the risk of infection, risk of transmitting to others, and leaving scars. Wrapping your hands with gloves or socks while sleeping can also prevent scratching, especially in children. You can also apply lotion, calamine powder, or chlorphenamine (suitable for children aged one year or more). 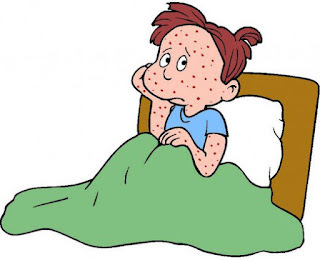 Wear soft, cotton-like clothing and loose for more severe skin irritation due to chicken pox can be prevented. Use painkillers or analgesics if necessary. Analgesics such as paracetamol can be consumed by people with pain and fever. However, it is advisable to call your doctor first if your child is under three months of chicken pox. To prevent and overcome secondary bacterial infections in chicken pox become an open wound due to friction and scratching, can use antiseptic soap containing povidone - iodine on cuts or chicken pox. In addition to having bactericidal properties, povidone-iodine also has a wider virucidal (killing viral) effect than other antiseptic types. Liquid antiseptic soap with povidone - iodine is also recommended for use by family members who care or people who live in the house so as not easily infected. Because the germs that cause this disease can survive outdoors up to 24 hours or more. Do not give aspirin to a child who is suffering from chickenpox because it can cause Reye's syndrome. This disease causes serious damage to the brain and liver. However, not all people with chickenpox can recover without medical treatment. 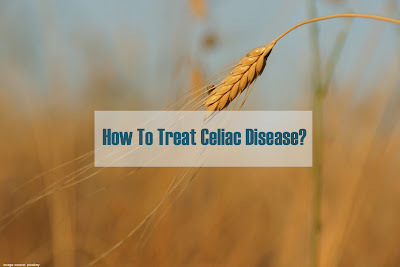 People who are susceptible to complications from this disease require more intensive treatment, ie pregnant women, newborns, and people with reduced immune systems, such as those with cancer or diabetes. One of the treatment steps is the antiviral drug acyclovir. This drug can relieve symptoms of chicken pox if given within 24 hours after the rash appears. Acyclovir serves to relieve the symptoms of chickenpox and not cure it. In addition to antiviral drugs, doctors may also recommend immunoglobulin therapy. In this therapy, varicella-zoster immunoglobulin (VZIG) containing antibodies to chickenpox virus will be administered by infusion. Just like acyclovir, immunoglobulin is not aimed at treating chickenpox. This therapy is a protective measure for people at high risk of a severe chickenpox infection. Symptoms of Chicken Pox and the Causes You Need to Know.